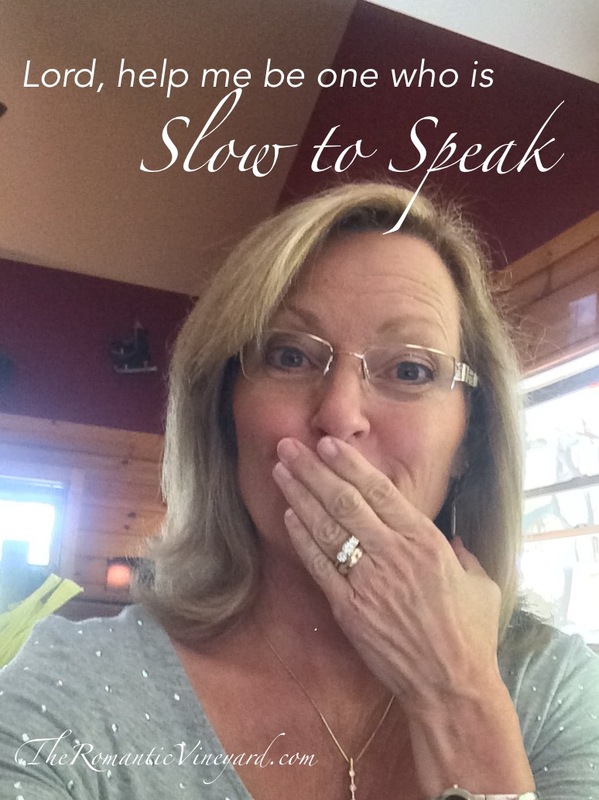 I am married to a man who has learned the wisdom of speaking slowly. It’s not because he’s slow of thinking. In fact, it’s just the opposite. He ponders his thoughts before sharing them with others. And he often chooses not to share what comes to mind because he realizes it isn’t profitable. I want to be more like him. How I wish I could say the same for many on social media these days, both Christian and non-Christian alike. The U.S. Supreme Court changed the course of history on Friday of last week when they ruled in favor of homosexual marriage. Ever since, social media sites have been soaked in the colors of the rainbow by those who are for it, and a plethora of words by those who oppose it. I’m sure our readers know where we stand, but you won’t hear us join the fray–at least not yet. most of all, that God will be glorified in His Church even in the midst of such opposition. This entry was posted in Christian Marriage, Growing Strong Marriages, The Gospel & Marriage, Wisdom in Marriage and tagged homosexual marriage, James 1:19-20, spurgeon. Bookmark the permalink. I don’t have an issue with homosexuality in a secular country. We all should have equal rights. However, in the church or a Christian country (a country who follows the doctrines of the bible such as Rome) I would have an issue with it. I battle to understand how people can reconcile gay marriage and Christianity. I’m not saying I am right – just I can’t understand it. So, I think you are wise: It is probably better to say nothing. God will deal with this. Thank you, though, for explaining to me the rainbow colors. Think I missed that announcement somewhere. Beautifully said. And a lovely example. Thanks J. My husband regularly challenges me by his example. I’m a better person because of him. Debi, thanks so much for sharing a bit of wisdom and encouragement. We all know that God created man and women never man and man or women and women. I pray hard that someone will do something about this. When I logged onto Facebook on this past Friday, I saw post after post coming from outraged Christians and maybe a sarcastic one from someone who has liberal views. So finally I was like, “Let me see what happened, ” then I did. I probably felt the same feeling those same conservative Christians felt. I had to gather my thoughts afterward, and let whatever fear I had for America take its course with my prayers. Iwwrote one sentence, concerning the Supreme Court Decision, in a post to at least let someone know what was going on within me without thinking of how it could have started a debate of some sort. I like good, thoughtful, and constructive debates between people, not the other kind, but still-as hot as the topic was at that point, a comment war could have started.Thank goodness it did not. Now, I’m just wanting to be level-headed again about this issue for although God is not pleased with this legalization of homosexual marriage, he’s also not pleased with the hatred that could be shown by Christians to none believers and such. We definitely need to be slow to answer.